Birch Gold Group recently had the unique opportunity to talk with Floyd Brown, President of the Western Center for Journalism, political commentator, author, freedom advocate, and all-around expert on the U.S. economy, currency standards, and dollar devaluation. In this special interview, Birch Gold talks to Mr. Brown to better understand currency “history” in gold and silver, the present and future of the dollar, and how we as a nation are being “robbed” by our government. 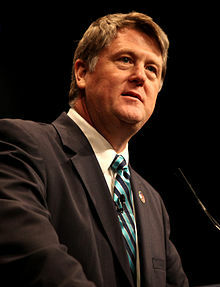 Having served various presidencies, been involved in countless political movements and groups, and having authored work in the Washington Times, Townhall, WND, and the San Francisco Chronicles — along with also writing a weekly syndicated column about politics and the economy — Floyd Brown is a key resource for economic issues. “Yeah it is a collapse. It’s a systematic effort by the political class to rob the saving class. People that want to save for the future, that want to prepare for the unexpected events, that want to take care of their family, those people are systemically punished by the United States government and by the political class”. “And the money’s basically robbed from them and they do it slowly over time through inflation and sometimes not slowly when we have big bursts of inflation like maybe just around the corner ahead of us”. While many political and economic experts have lengthy opinions to soapbox, few offer solutions. Floyd Brown reminds us that freedom is won and earned, not easily given. Being active, having a voice politically is one of the only ways we can prevent the government from devaluing our earnings, savings, and retirement funds. The second is to think historically. Gold and silver have value. The dollar equals debt. “Really, gold and silver are the historic forms of money and what we really have in the U.S. today is really debt instruments which aren’t money at all”. The obvious answer is to start researching and investing in a currency that historically has value, permanence: gold, silver and precious metals. To read the full interview, visit: Birch Gold Group, Floyd Brown Interview.